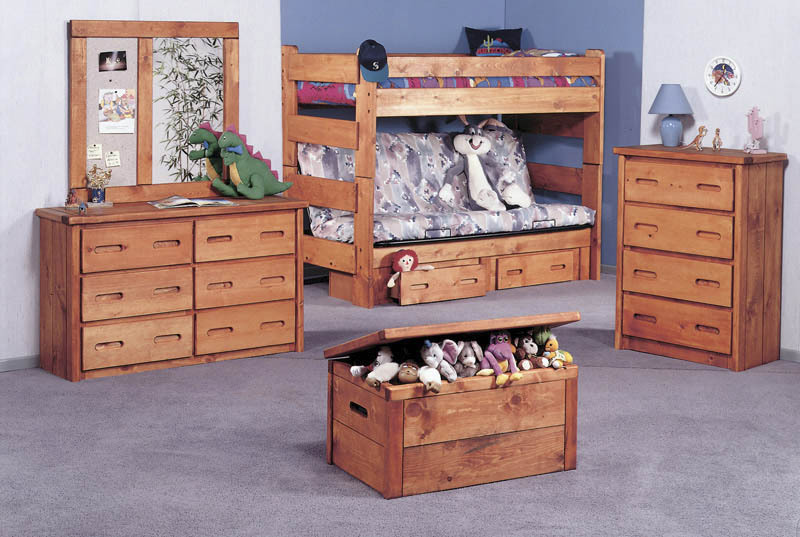 Whether you are seeking space saving features or simply fun and attractive designs for your child's bedroom, the Bunks collection will have what you are looking for. 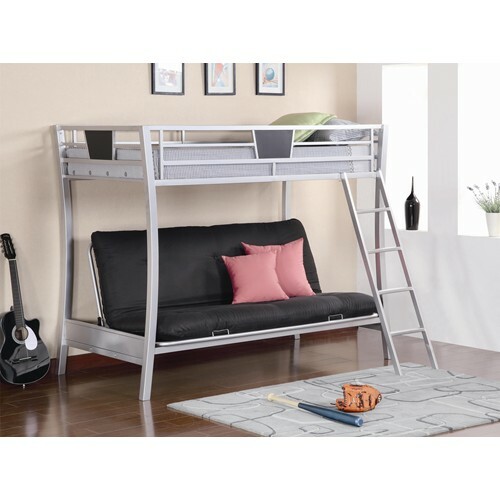 Constructed from solid hardwoods or metal, each bunk bed and loft bed has unique characteristics. 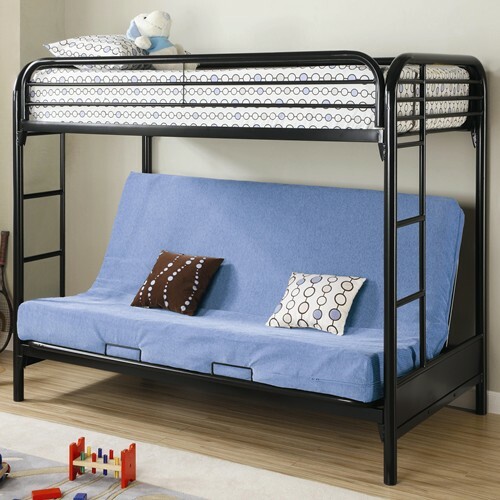 With a variety of styles to choose from you can pick the perfect look for your child's individual space and style. 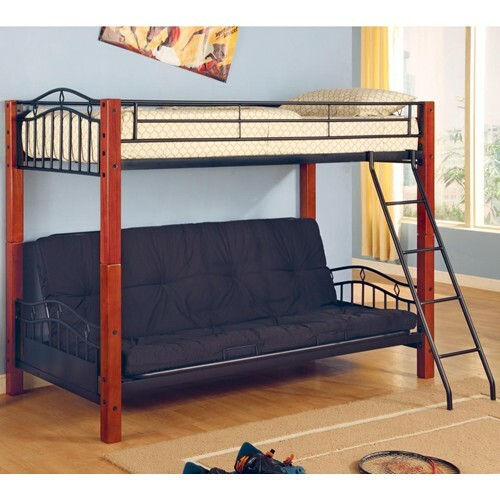 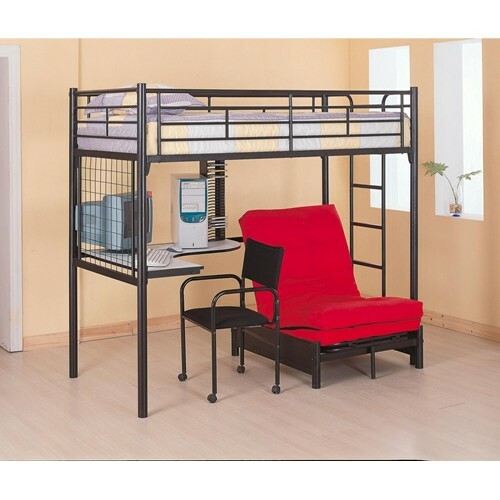 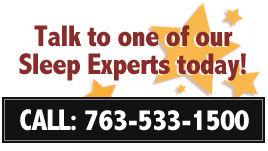 These Bunkbeds feature full length guard rails and welded braces for safety. 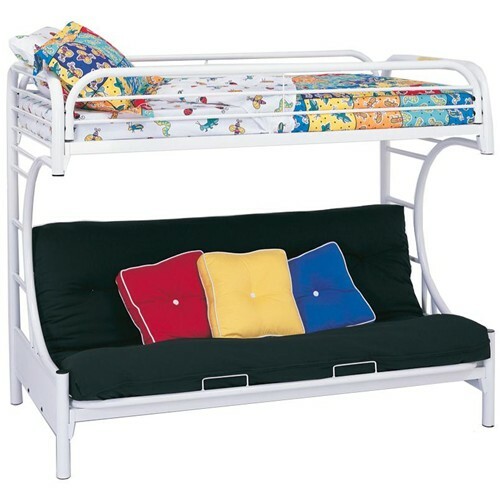 The top bunk is a twin bed, and below is a futon couch which easily converts into a full size bed. 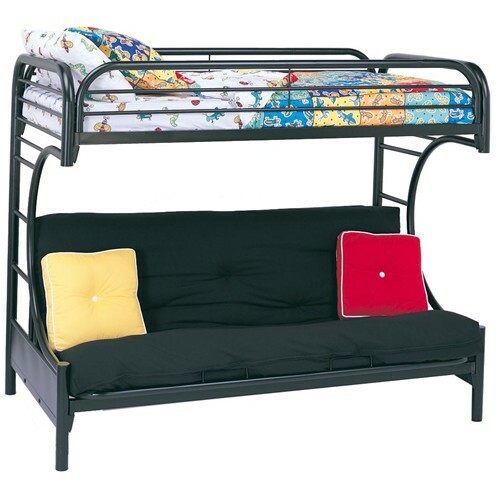 All futon bunks can be paired with our 10 Inch Thich Futon Mattresses, or sold as just the frame only. 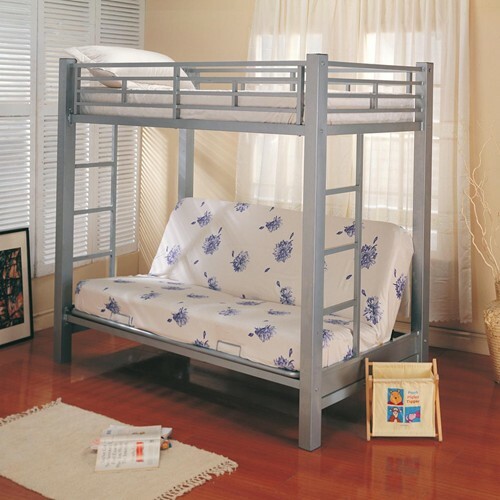 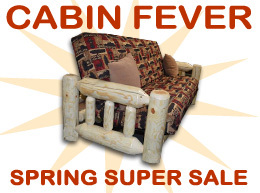 While we keep many of our futon bunkbeds in stock, some styles may need to be ordered.